What happens when we break the patterns of our past, and fully embrace our PRESENCE? 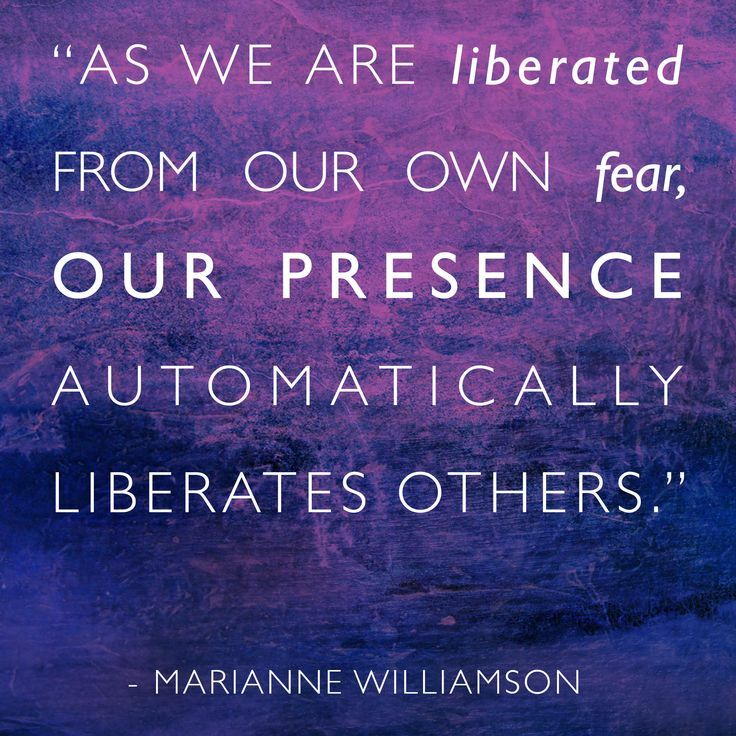 Much as Marianne Williamson states in the quote above, we give permission to those around us to do the same. Imagine what a world filled with self-actualized, accepting, loving individuals would be like. Free from fear, doubt, and disbelief - truly, LIBERATED! Still working with our beliefs and self-perception, this week we work to liberate ourselves from our past. What is our past but a collection of emotional experiences that determine our perception? For example, if you had been bitten by a dog as a child, you tend to be cautious around them as adults. Ever eat a bad shrimp as when you were young? Then you may have developed an aversion response as a grown up. These experiences establish emotions which determine beliefs (ie dogs are dangerous, shrimp is bad, etc). These beliefs create automatic responses to the world around us. You see - very much like flying on automatic pilot - we live our lives in a routine. We wake up the same. Drink our coffee the same way. React to our loved ones in the same fashion…until we don’t. What if, instead of these pre-programed responses, we were actually consciously (rather than unconsciously) living our lives? This is where our PRESENCE comes into play. Like a painting adorned with watercolors, we spend so much time focusing upon the images of paints (the roles that we occupy in life) - blended and overlapping - that we forget about the canvas (PRESENCE). Pure potentiality, when we break these patterns of the past we can fully realize the potentiality of our PRESENCE. This week, determine if where you are now is where you truly want to be. Moreover, what more can your life be - rather, what more can YOU be? Once you’ve determined where you are now, time to move things forward! Identify 10 habits that do NOT serve you or your vision for yourself. Commit to reducing these actions over the next 30 days. Create a list of 25 things that DO serve your vision and commit to doing one of these - everyday - for the next 90 days.